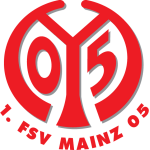 FSV Mainz 05 vs Schalke predictions for this weekend’s German Bundesliga. Schalke look to put more light between themselves and the relegation zone when they travel to the Opel Arena to face Mainz on Saturday. Read on for our free betting tips and match preview. Mainz’s start to 2019 was going swimmingly enough… until February. Saturday’s weak showing in Wolfsburg (a 3-0 defeat) saw the 05ers lose a third consecutive match for this first time since early 2018, but there’s still a comfortable cushion between themselves and the relegation zone following two wins against Stuttgart and Nurnberg before that. Mainz’s defence is on the slide – they boasted one of the best records in the division over the winter break – but on the whole coach Sandro Schwarz seems to have addressed the “goal problem” that plagued them earlier on this season – Mainz have scored at least one goal in all but 2 of their last 14 league outings. Not much positive can be said about Schalke’s season, but there has been at least one talking point for them recently. 18-year-old Ahmed Kutucu made his full Bundesliga debut two matches back against Bayern, scoring his third goal for Schalke at the senior level across all competitions – his second consecutive when including the 4-1 win over Fortuna Dusseldorf in the DFB Pokal the Wednesday before too. His performance in last weekend’s 0-0 draw at home to Freiburg was hindered by the Royal Blues being down to 10-men in the first half but he should continue to start this weekend. Coach Tedesco is limited for attacking options. Mainz look to take advantage of Schalke’s poor form and their recent focus on goals rather than clean sheets should be an influential factor in this match, and consequently, we expect this to be a high-scoring game. Schalke’s recent defensive performances haven’t been much to write home about – Tedesco’s men have conceded two goals or more in four of their last five in the Bundesliga – and Mainz haven’t been doing much better either – they’ve failed to keep a clean sheet in 14 of their last 15 league outings too. A recipe for success in terms of goals. We mentioned forward Kutucu on Schalke’s part, but Mainz’s own duo of Quaison and Mateta have some in them too – they’ve scored 6 of Mainz’s last 9 goals. Only Bayern’s (22), Hoffenheim’s and Stuttgart’s matches (both 21) in 2019 have seen more goals than Mainz’s (20 – an average of FOUR goals per game) as well, so there looks to be value in a bet on ‘over 2.5 goals’. Based on form, it’s hard to choose a winner. Schalke have dominated the head-to-head previously – in fact, the Royal Blues have won each of the last five meetings between them – but this is one of the weakest Schalke sides we’ve seen in a while, and this game comes just a few days after a mid-week Champions League meeting with Man City. And with Mainz only losing to Bayern, Dortmund and Leverkusen at the Opel Arena this season, we fancy them to get something from this game. Our prediction: a 2-2 draw. FSV Mainz 05 have lost their last five Bundesliga games against Schalke 04, failing to score every time. It’s their longest ongoing losing run against any Bundesliga side. Schalke have won all 13 of their meetings with Mainz that have taken place in the first half of the season. However, S04 have won just three of their 12 clashes after the winter break (D4, L5). Mainz haven’t won any of their eight Bundesliga games against Germany’s 2018/19 European participants (D2, L6), with Leverkusen handing them a crushing 5-1 defeat in their most recent clash with one of those clubs. Mainz 05 are the only Bundesliga side that have failed to pick up a single point in the last three games. Their tally of 11 goals conceded in that period is also a league high. Mainz have kept just one clean sheet in their last 15 Bundesliga games (during their 1-0 win at Düsseldorf on MD13) and are currently on the longest run without a clean sheet in the league (9 games). Mainz have picked up just 16 points from their first 11 home games of the season. They have only had fewer at this stage twice before in their Bundesliga history, most recently in 2011/12 (14 points). Schalke are experiencing their worst Bundesliga campaign for 20 years, having picked up just 23 points from 22 games. They also had 23 points at this stage in 1998/99 and ended up finishing 10th. Schalke 04 have won just one of their last seven Bundesliga away games (D4, L2) – a 3-1 victory in Stuttgart on matchday 17. The only other match the Royal Blues have won on their travels this season was at Düsseldorf (2-0 on MD7). Schalke have the fifth-worst attack in the league, having scored just 25 goals, which includes just one in their last three Bundesliga games. S04’s top scorer this season is Daniel Caligiuri with four goals. Schalke finally picked up their first points of the season in the reverse fixture against Mainz on matchday 6, having kicked off with five straight losses. Their record since then is balanced (W6, D5, L6).